The Serenity Ultimate 4K Entertainment PC has been designed as a high performance media and gaming PC all rolled into one. And with it being housed inside the gorgeous Streacom F12C chassis it will not look out of place in any living room. We are pleased to announce yet another ground-breaking example of living room PC design, the Serenity Ultimate 4K Entertainment system - why sacrifice beauty for performance when you can have both. This beast of a machine has the ability of connecting to an ultra-high definition 4K TV giving you the best possible visuals whether you are watching a 4K movie or playing a computer game. Because we use a fully-featured motherboard, the PC is a very capable unit. 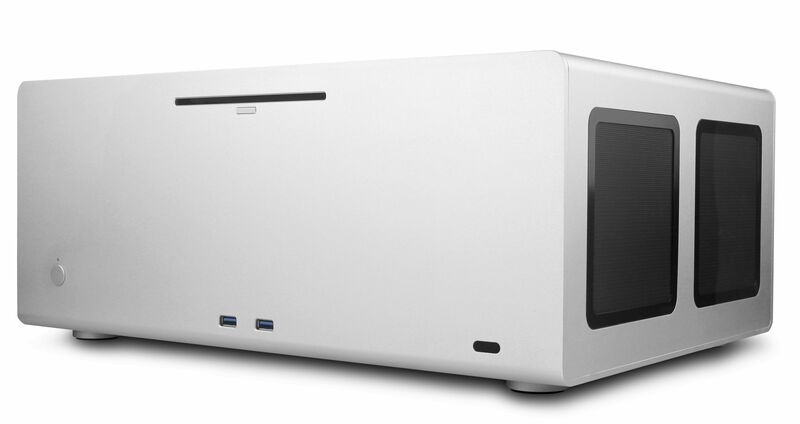 It can be built with up to 64 Gigabytes of memory and one of Intel's latest 7th Generation Core processors. Famous for their excellent performance/value balance, these processors have the latest architecture and offer excellent performance. We recommend a minimum memory specification of 8GB for this operating system to perform at its best. We supply the Asus Z270-A motherboard with this system which offers a wealth of features suitable for all applications. 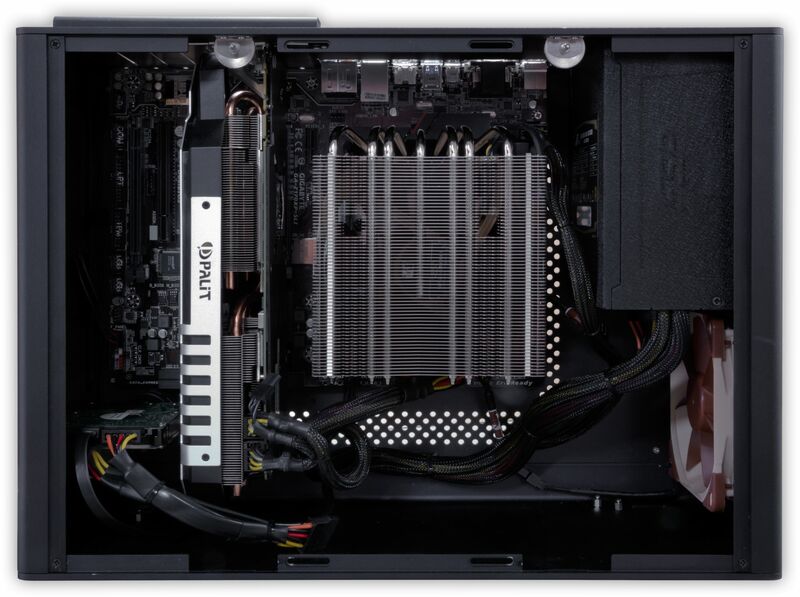 The motherboards support the Intel's 7th Generation processors, bringing together a unique blend of features and technologies that offer the absolute ultimate platform for your silent PC. You'll find two USB3.1 ports (one is Type-C) on the rear of the motherboard, which is twice the speed as USB 3.0 for amazing fast file transfers. The motherboard also features two M.2 slots. A typical Solid State Drive (SSD) has a read/write speed of around 550 MB/s, with a M.2 drive you can expect speeds of up to 3200 MB/s! We therefore highly recommend opting for a M.2 drive for your operating system due the incredible speed it offers compared to a standard SSD. Flicker-free 4K - As previously mentioned this system is designed to connect to an ultra-high resolution TV/monitor. Even though the integrated graphics are capable of producing a resolution of 4096 x 2160 it can only do that at 24Hz from the HDMI port, which can produce a latency due to the low frequency. Therefore if you are looking for the smoothest possible playback then we recommend opting for one of the optional graphics cards, all of them feature HDMI 2.0 which is able to achieve a resolution of 4096 x 2160 @ 60Hz, giving smooth flicker-free visuals. Gaming requirements - When considering which graphics card to opt from a gaming point of view you'll need to ask yourself two questions, firstly which games will be played? Virtually every game has different system requirements which can make choosing the most suitable card tricky. Our experiences tells us it is always better to go for a graphics card that is better than the recommended system requirements, this not only future-proofs you but also gives better performance. Another thing to consider which is extremely important is what resolution do you plan to play the game at? Running a high demanding 3D game at 1080p is very easy for the graphics cards listed in the configurator below, we would expect any of them to maintain around 60FPS without breaking a sweat. This issue lies when the resolution is increased beyond 1080p. For example we would not expect a GTX1050 to be able to play a 3D game at 4K resolution at around 60FPS, you would need to consider a more powerful graphics card, like the GTX1070 or even the GTX1080, which will help maintaining 60FPS at higher resolutions. The Streacom F12C is not shipped with any cooling fans so we have made available the option of adding up to two cooling fans. Of course this may not be necessary in most cases but could be useful if you would like to reduce the internal temperature of the installed components and generally improve the cooling. This is especially important if the chassis is in an enclosure or in a warmer than normal environment.